These three were harder to interview then a politician. The only thing I could get them to agree on was bacon. Falstad & Muradin start to scuffle, tipping over a chair. The fact checker ducks, barely missing a punch intended for Muradin. TGF: And girls. Can I get everyone to sit down, please. 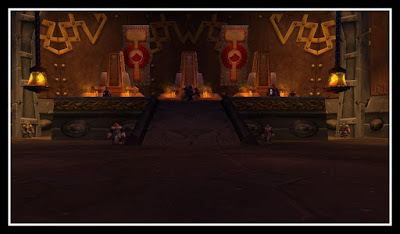 Falstad Wildhammer: It's nice to finally have a lady for company. 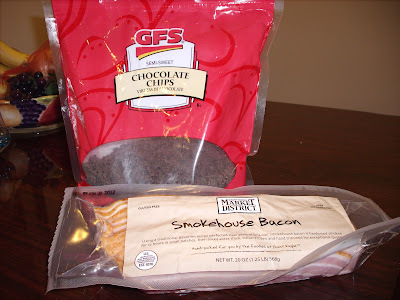 TGF: Council, please. Lets start with Flastad, can you tell us what you choose as your dish? Falstad: Well now, Fannie has been after me about eating right. So I choose baked asparagus. 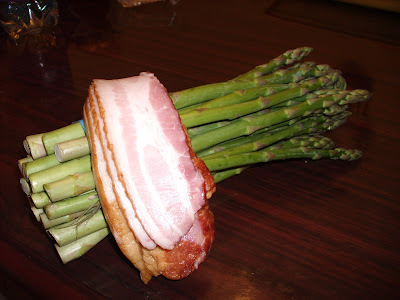 Falstad: Well baked asparagus wrapped in BACON. Falstad begins dancing on his end of the table. Muradin taps my shoulder and places a steaming dish in front of me. It smells wonderful! Muradin lunges at Falstad across the table and tackles him to the ground. Moira sits down next to me and hands me a long, thin piece of chocolate. I bit into it and look back at Moira surprised. 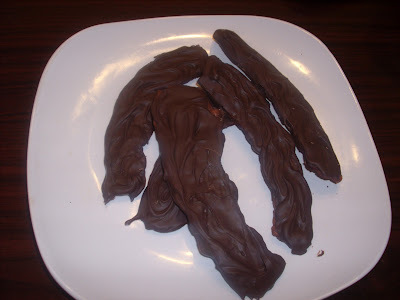 TGF: It's chocolate covered bacon! It's delicious. Moira: Bacon is always delicious. Moira hands Fenran a bacon wrapped chicken leg. Which he immediately starts to chew on. Here ya have it, a bacon feast fit for a dwarf. Thick cut bacon and melted chocolate. 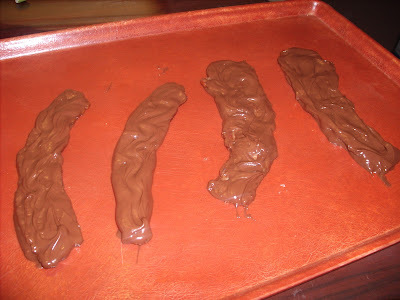 Cook the bacon till crispy then let cool completely. Let chill in refrigerator for about 30 minutes. Chicken legs and one piece of thick cut bacon per leg. 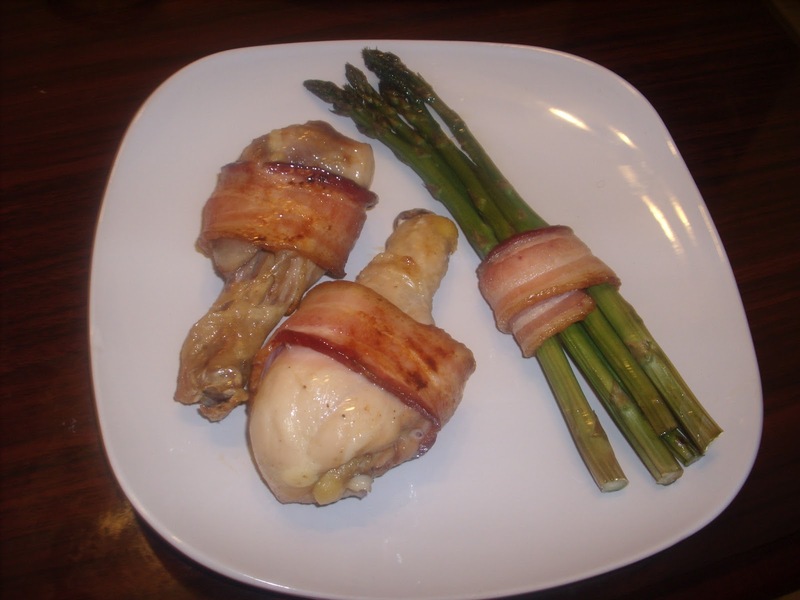 Wrap bacon around chicken leg and bake for 20 minutes in 350 degree oven. Fresh asparagus and bacon slices. 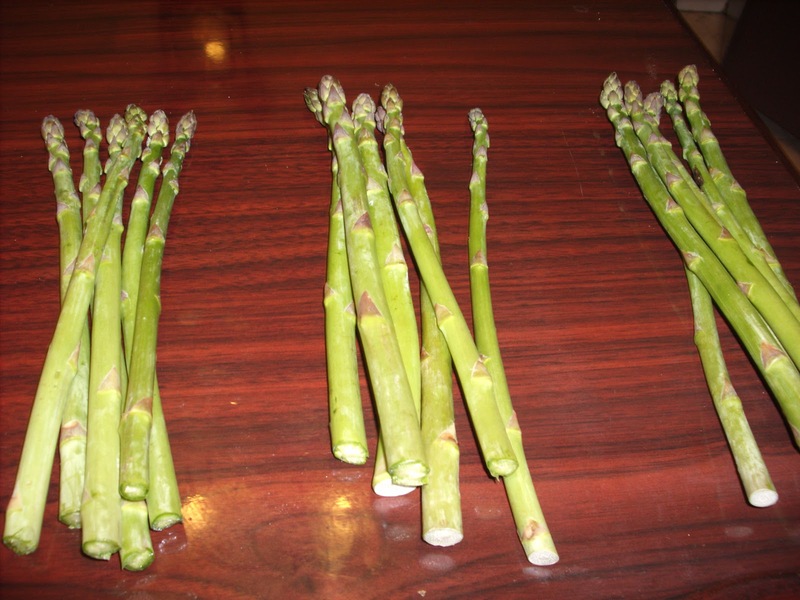 Divide asparagus into 4 piles of 6. 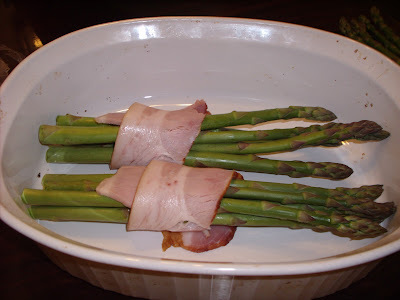 Wrap a slice of bacon around middle of each. Lay on baking sheet and cook for 20 minutes. 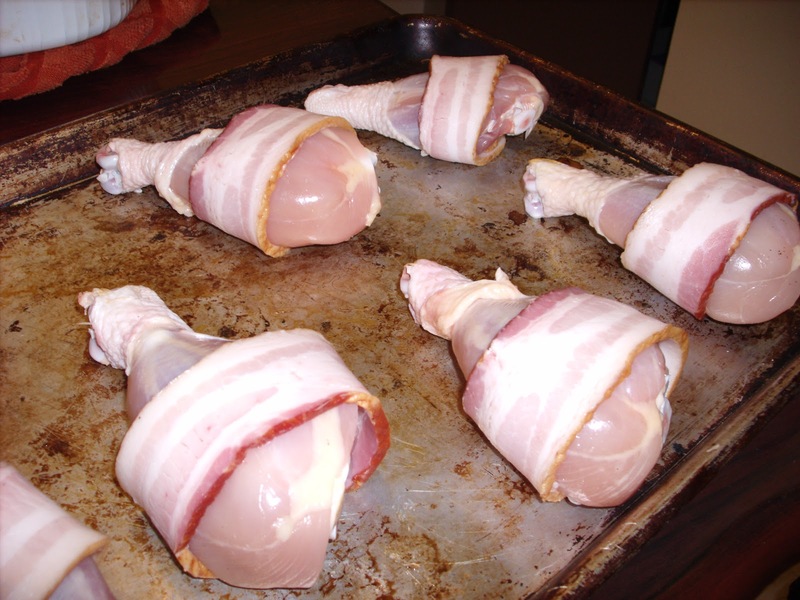 Until tender and bacon is cooked. 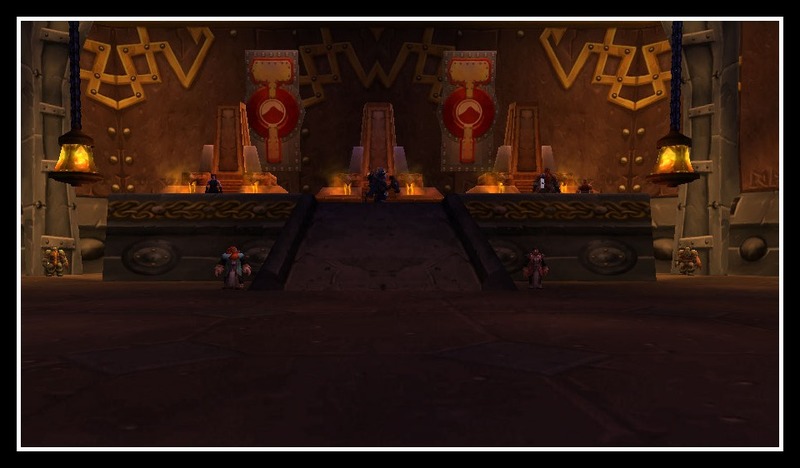 Fit for a dwarf or any race. Yum!